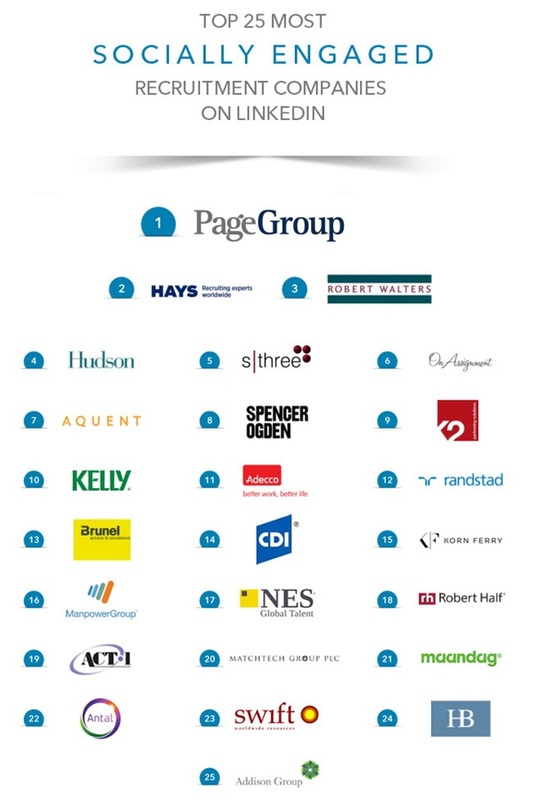 This month, the Top 25 most socially engaged companies in the recruitment industry on LinkedIn were announced at the Social RecruitIn London. LinkedIn stated: “We’re seeing more and more recruitment firms around the world realising the benefits of adopting social media. They’re becoming marketing-led organisations versus sales-led organisations, and they’re able to grow their businesses and better engage their clients and candidates as a result. Tony Goodwin, CEO and founder of Antal International, adds: “This is, quite simply, an extraordinary accomplishment!